Does the breakout of jihadi violence accompanied by multiple bomb blasts across several districts of West Bengal convey any message to all ranks of Indian Police?Yes, it does. But only if we are willing to learn, grow, and act, and act fast. The first lesson which police officers must learn is that they should refuse to buckle under the pressure of politicians in law enforcement and stand their ground firmly, though politely. The primary duty of the police is to enforce the law and protect the lives and property of citizens. Policemen must continue to perform their duties impartially in a dignified manner. In the post-independence era the malaise of political interference in law enforcement has gathered substantial pace with disastrous consequences for national security and safety of peace loving citizens. It has come to be recognized globally that the ongoing jihad raging from the USA to the Philippines against civil society offers a formidable challenge for the police leadership. The global experience is that the growth of jihadi militancy in any State or area, is invariably preceded by certain tell-tale marks the most important among which is the growth of pockets of “No-Go” areas. The experience of police forces in European countries tells us that these pockets gradually develop into extensive ‘No-Go’ Zones where the entry of police is resisted by rowdy gangs of criminals and anti-national goons. This important development in any country, city or town signifies the growth of lawlessness to subvert governance which must be dealt with effectively by the police. Over a period of time a number of ‘No-Go’ zones were created in West Bengal by the illegal infiltrators from Bangladesh duly aided by hundreds of ISI-embedded spy-modules nurtured by the radical outfits operating from Bangladesh like Jamaat- e- Islami Bangladesh , Chhatra Shibir, Jamat-ul- Mujahideen Bangladesh, etc. There is no denying the fact that the complexities created by the partisan politics of West Bengal have added grist to the mill of the jihadi explosion in that State. But the fact remains that there has been a massive increase in ‘no-go’ areas across West Bengal due to the collapse of police patrolling—mostly due to political interference. There are hundreds of villages where the writ of the State government does not run and the police are unable to enter due to fear of violent resistance by anti-national groups aided by political dadas. In fact, the no-go zones have become a common feature of Kolkata’s political universe. A classic example of the cult of no-go zones conquering Kolkata is that the fundamentalist Mullahs have made Kolkata a “no-entry metropolis” for Taslima Nasreen and many other persons disliked by radical Muslims. In a seminally researched article published in The New Media Journal on 29 January 2013, the well-known analyst Soeren Kern had highlighted that Islamic extremists were stepping up the creation of “no-go” areas in several European cities that are off-limits to non-Muslims and law enforcement officers. Many “no-go” zones are functioning as microstates governed by Sharia. The governments of several countries have lost control in ‘no-go’ zones. In many instances the affected countries are unable to provide even basic public services such as police, fire fighting and ambulances for carrying the ill and the injured. The “no-go” areas are the logical consequences of the growth of Islamic ghettos and the inability of police to patrol those areas due to the organised resistance offered by mobsters, many of whom are armed with rocks, Molotov cocktails and other throwable missiles. For example, in the U.K, a radical group called Muslims Against the Crusades has launched a campaign to turn 12 British cities, including the national capital, often called “Londonistan” into independent Islamic states. They hope that soon the so-called Islamic Emirates would function as an autonomous group of Muslim-dominated enclaves ruled Sharia—functioning virtually as a State within a state, but entirely outside the British law. Soeren Kern points out that there is a planned sinister plot to undermine the authority of police in many cities of the U.K. The so-called Islamic Emirates Project has named the cities of Birmingham, Bradford, Derby, Dewsbury, Leeds, Leicester, Liverpool, Luton, Manchester, Sheffield, as well as the Waltham Forest area in northeast London and Tower Hamlets in East London as territories marked for enforcing the Sharia rule. For instance, in the Tower Hamlets area of East London (also called the Islamic Republic of Tower Hamlets) extremist Muslim preachers of the enclave called the Taliban Tower Hamlets often issue death threats to women who refuse to wear veils. Neighbourhood streets have been plastered with posters declaring “You are entering a Sharia controlled zone: Islamic rules enforced.” And street advertising deemed offensive o Muslims is regularly vandalized or blacked out with spray paint. According to media reports a similar situation exists in the Indian State of West Bengal where the police are unable to carry out regular patrolling and the writ of the state government no longer runs. Prima facie, the collapse of police patrolling in many districts has proved to be the Achilles’ heel of the West Bengal Police.To return to the plight of Europe, most citizens of France fell terribly scared because large areas of Muslim neighbourhoods are now considered “no-go” zones by the French police. Furthermore, Kern claims that at last count, there were 751 sensitive ‘Urban Zones’ (Zones Urbaines Sensibles, ZUS). A complete list of the ZUS can be found on a French government website, complete with satellite maps and precise street demarcations. On a rough count, an estimated five million Muslims live in the ZUS, parts of France over which the government has lost control, avers Soeren Kern in his well- researched article. In Brussels, the capital of Belgium, Brussels (having 20% Muslim population), several immigrant neighbourhoods have become “no-go” zones for police officers who are frequently pelted with rocks by unruly Muslim youth. In the Kuregem district of Brussels, which often looks like an urban war zone, the police are forced to patrol the area with two detachments of police cars: one car to carry out patrolling and another car to prevent the first car from being attacked. Such is the fear of rowdy Muslim backlash that in the Muslim-dominated Molenbeek district of Brussels, police officers have been ordered not to drink coffee or eat a sandwich in public during the Islamic month of Ramadan. In Germany, Chief Police Commissioner, Bernhard Witthaut, in an August 1 interview with the newspaper Der Westen, revealed that Muslims are imposing “no-go” zones across Germany at an alarming rate. In Italy, Muslims have been commandeering the PiazzaVenezia in Rome for public prayers. In Bologna, Jihadis have repeatedly threatened to bomb the San Petronio because it contains a 600-year-old fresco inspired by Dante’s Inferno which depicts Mohammed being tormented in hell. In the Netherlands, a Dutch court ordered the government to release to the public a politically incorrect list of 40 “no-go” zones in Holland. The top five neighbourhoods converted into problem neighbourhoods are in Amsterdam, Rotterdam and Utrecht. The Kolenkit area in Amsterdam is the number one Muslim “problem district” in the country, writes Soeren. The next three districts are in Rotterdam–Pendrecht, het Oude Noorden and Bloemhof. The Ondiep district in Utrecht is in the fifth position. Similarly in Sweden, which has some of the most liberal immigration laws in Europe, large swaths of the southern city of Malmö – which is more than 25% Muslim – have become “no-go” zones for non-Muslims and policemen. The research of Kern has to be read and understood by the officers of Indian Police in the context of what has happened in West Bengal and what might happen in the coming years or months, in several other parts of India. Equally important for them is to read more about the rising crescendo of footfalls of the soldiers of IS. 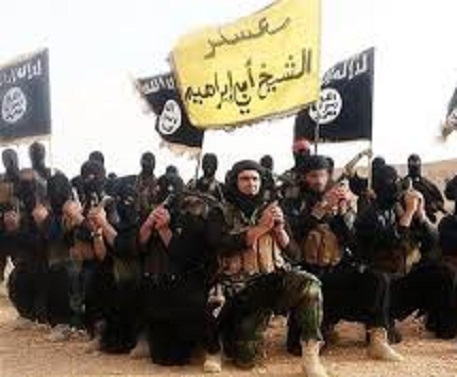 It is time that Indian police officers became familiar with what has been happening in large swathes of Iraq and Syria, now called IS Caliphate. Not many of them know that Abu Bakr Naji is the ideologue of al Baghdadi’s caliphate and that his infamous book, The Management of Savagery, has become the war Manual of storm-troopers of Islamic caliphate. The book was published online in 2004. It was translated into English in 2006 by William Mc Cants, who is a Fellow at the West Point Combating Terror Center. The core emphasis of Naji is on creating areas of political chaos by recourse to unremitting savagery for acquiring territorial control in selected areas as a prelude to the birth of an Islamic state. And al-Baghdadi has been ruthlessly implementing the guidelines enunciated by Naji in his tome, The Management of Savagery. Abu Bakr Naji envisions the coming phase of Jihad as the most critical period through which the Islamic Ummah will have to pass. He argues that due to the savagery unleashed by jihadis a number of regions will plunge into chaos because of the weakening of the governmental authority. At that stage a chaotic enclave ruled by Jihadis can be created. The jihadi movement should focus on strengthening the fighting spirit and self-confidence of Muslims. He directs that a concerted attempt should be made to draw the U.S. into direct military confrontation so that Americans realize that they are too weak and located too far away to prevent the emergence of zones of savagery and chaos. Second, Naji emphasises that the recruitment to the jihadi movement should be boosted by carrying out spectacular and ‘‘dazzling’’ attacks loaded with raw savagery against the United States and other kaffir nations for promoting popular resentment against the U.S. and other nations ruled by ‘kuffar’ or non-believers. Additionally Naji has recommend a multi-pronged jihadi strategy for destroying governmental control in weak regimes in the Islamic world. The extensive use of savagery will be a continuation of the 9/11 attack on the Twin Towers and Pentagon by Jihadis, describing it as a continuation of what al-Qaida had started with their East African bombings in 1998 and the 9/11 attack. Furthermore, according to Naji, the best jihadi training takes place on the battlefield so that jihad can be waged across the globe. He advocates the training of the youth in specific geographical zones, and the formation of ‘‘a fighting society’’ in every zone. He underlines the importance of creating small enclaves for ‘vexatious and exhausting operations’ against the enemy. Naji also addresses the needs for training cadres in non-military functions, especially in managerial skills: ‘‘We will mix with hundreds of thousands of people and they will require the administration of regions by jihadi soldiers because the role of governments is bound to diminish in ‘no-go’ enclaves due to chaos. A close analysis of the terrorist activities in West Bengal and the spectacle of multiple bomb blasts staged by active cells of Al Qaeda underlines the failure of police effectiveness in the State. The connection of jihadi cells with the Bangladesh-based spies of the Jamat-ul-Mujahideen Bangladesh further highlights the failure of intelligence agencies as well. The time has come for the Indian police to uproot and patrol the menace of ‘no-go’ zones rapidly proliferating across the country.